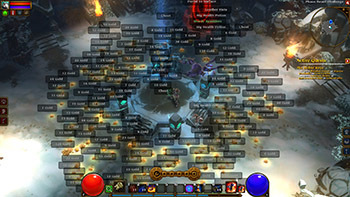 When it came out in 2009, Runic Game's Torchlight was a surprise hit. The hacking and the slashing felt suitably frictionless, allowing players to lean back and let the loot and XP roll in. While it took a few years to engineer the sequel, Torchlight 2's enhancements have gone over pretty well. It took only four months for Torchlight 2 to sell its first million. Now ten months later, Runic Games tweets that the PC-only title has sold over 2 million copies. While the original Torchlight was released on PC, Mac, and XBLA, the sequel has remained in the familiar PC territory so far, with only a Mac port on the way. Since its launch last September, the action RPG has also been updated with Steam Workshop support and an official mod tool to go along with it. The Escapist's Mike Kayatta liked Torchlight 2 enough to call it a bargain "even at three times its $20 price." While was reviewed pretty well on its own terms, not having to deal with any server issues or cash shops likely helped. Even so, when we last heard, the big demon in the room was getting 2.1 million players logging in daily. Meanwhile, I'm imagining the plights of millions of pets, trundling back and forth to town to sell their owner's wares. The true heros of Torchlight truly are the pets.